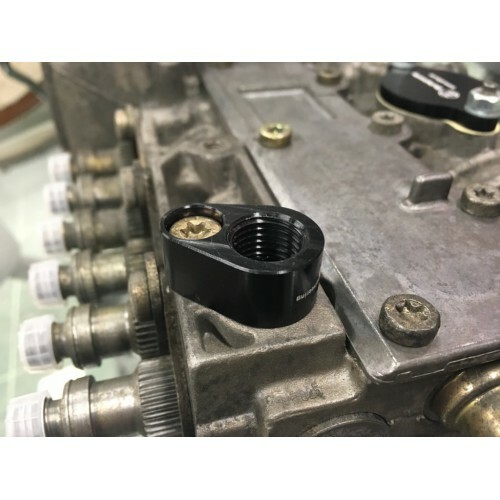 This is an adapter made by Elbe Engineering that converts the fuel inlet port on the OM605/OM606 EDC injection pumps to a M14x1.5 threaded port suitable for use with a banjo fitting. This makes the retrofit of an EDC pump real easy as it removes the fuel shut off valve. 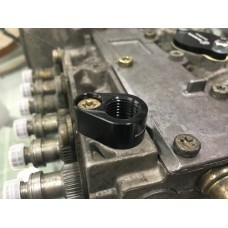 Also a popular item when running a modified injection pump that needs a higher feed pressure.